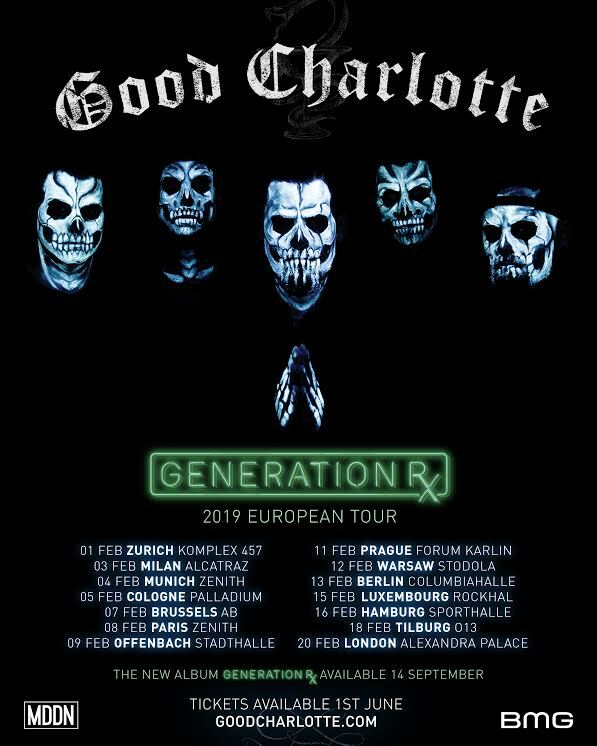 Good Charlotte’s new album Generation Rx has now been released and reached 20 in the midweek UK album chart. There’s been a flurry of press about it, so here’s a round-up of some of the reviews and interviews for the album. 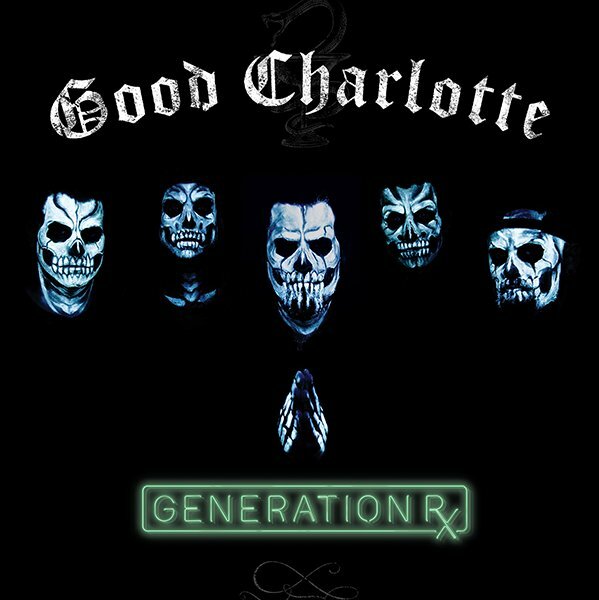 It’s time to get excited – Good Charlotte’s new album Generation Rx is released on 14 September. If you’re looking to get hold of a copy for yourself, preorders are now available. Various sites – both based in the UK and overseas – are offering preorders and here’s a run through of some of them. The official Good Charlotte website has a number of packages available including exclusive hoodies and t-shirts. You can also order the CD or vinyl individually. But shipping isn’t cheap For just the vinyl and shipping is $28.50 making it about £35 in total but if you want the full set of items for $105 shipping is $42.75 making it about £110. UK Good Charlotte merch store Impericon has the CD and vinyl for preorder. It’s £13.99 for the CD and £17.99 for the vinyl. Shipping for orders of less than £50 is £2.99 and for above that it’s free. It’s not the cheapest webstore but if you want to order some merch as well it could be a good option! HMV are offering both the CD and vinyl for preorder. The CD is £9.99 and the vinyl is £14.99 and the site offers free shipping for orders over £10. It also states that they will be dispatched before the release date so it should reach you in time. Indie record shop Banquet Records are also selling the CD and the vinyl editions of Generation Rx. The CD is £10.99 and the vinyl, which comes with an mp3 download link, is £15.99. Shipping is 80p for the CD or £2 for the vinyl. RCRDSTR is offering an exclusive yellow vinyl version of Generation Rx. The yellow vinyl is available for $24.99 with the cheapest UK shipping available at $33.96 making it about £44.50 to get it shipped over here so again, not the lowest priced option but it is an exclusive edition.